Happy Oliver Article has been updated! Every winners and Happy Oliver style is written on it. Feel free to check out! These past few days, I've been noticing Étoiles with dame lips. Well, not just that! But also their eyes are the same but they have different color. Well, I don't really know why it happened. Okay, so, Let's reminisce our past. First ever Étoile family picture : Only 2 kinds of eyes and lips. White and YaSuo's Birthday : Yasuo changed his lips + eyes. In Crystal Étoile's house : Ranzi turned to Black. Miyuki+Yasuo same hair color plus fish lips as well as Rose and Yumi. 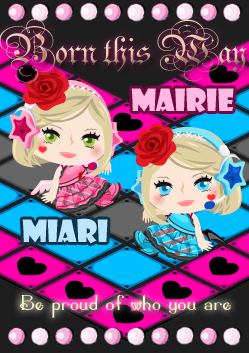 Casino Fashion : Crystal + Bry + Maron got fish lips!! 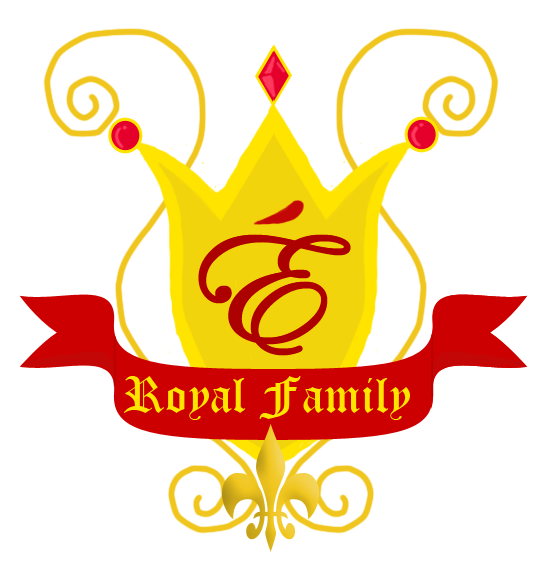 Royals and Novels :With Sexquisite, Mackenzie got fish lips! And Jad Changed look. OMG? What is this? Hahaha, Just now, I thought Étoile evolution is funny! So, I wonder how Mia and I look like when we got same eyes and lips? Hello again to our dear fellows! We're very thankful on having people who are leaving message me on my board and sending messages on my inbox and everyone makes me happy. Mostly are greetings and cheering up, others are curious and asking questions. Actually, We always try to reply but I can't. The problem is that "This person isn't allowed on receiving messages"
Well, he said, that time, he was about to quit pico until he met me and then we make a group and that's the start of everything. Well, I didn't know that he was about to quit because he never tell me, I didn't because he never gave me a hint. 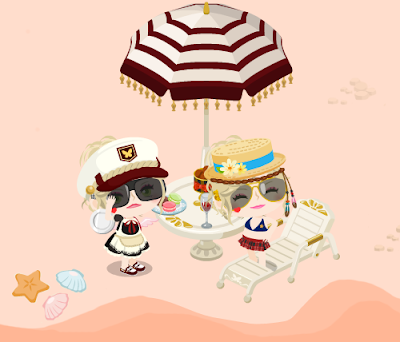 It's really happy to think to have a friend in virtual world and you know them for a year. Because it's like, even you're just in a virtual game, the friendship will still go on and on. On friendship, not just knowing each other is important, but also understanding. W/o understanding, you're friendship won't stay long. If that happen, means you don't have the loyalty. Well, it wasn't hard to gather them all, though, I didn't made any room events just to call them since I didn't want to have trouble with the people who's on waiting. Of course, while we are doing the party, we decided to shoot our 3rd video, Born This Way in my room 3. And VIPs are so sweet! So easy to direct and it was actually fun while we are on recording XD. Then after the shooting,we went back to room 4 and continue the party! Let me introduce tonight's Mr. And Ms. VIP Night! It's been a while since Neko Étoile went online! And I really missed him so much. I told him so many things about our family and VIPs that he didn't knew. I called some VIP and Étoile members to meet him for a chance and it was fun while we are in my room 4! We wore noob stuffs and guess what! He is the only guy there on the line. The one who's wearing an orange wig XD Well, I think it's obvious. hahaha! And I'm so glad that he enjoyed on talking to these people who came into my room and it was fun watching them. He's actually one of the coolest guy ever I met! Out of Étoile posers, he is the only one who said this to me, to my friends, to all of us and he's so proud! I like him because he's not like other Étoile posers who are pretending, doing bad things and talking to me like I've got an amnesia, saying like "have you forgotten?" or something like "didn't you know????". Those picos really pissed me off but this one didn't. I actually laugh and I found him nice. I'm proud of him! 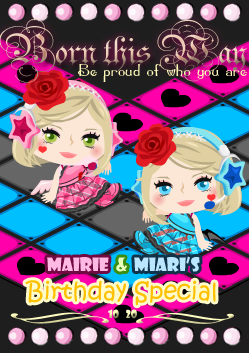 I know that everyone knows Lady Gaga and we decided to make this as our song since October is Mia&Mai's birthday month! We are born this month (in real) and we thought that it should be "Born this way". The cast will be some Étoiles and mostly VIPico. Though, we are still thinking of some parts on how we are going to shoot it the scenes. For now, we still don't have scenes with others but currently, the video is already in 1 minute and 28 seconds. and still imagining for the other scenes We are already planning for our next shooting but we are still waiting for someone so, we will just announce when we are going to shoot with VIPicos. So we hope that you'll going to support us for our Birthday Special Video! And now, here's the trailer. After getting busy since July (when I went in Philippines) I didn't actually have my time to spend with Étoiles. Too busy (but they understand it) when I came back to Japan because I have to attend my club for our performance for our Cultural Festival in our school and in other places. 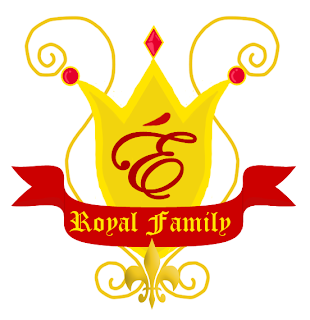 Then after that, I'm already busy on editing our upcoming videos and, I missed my family! We spend our time together in Japanese Park 1, where we gathered and one of VIP member, ησтσяισυѕ joined us on picture taking and a girl when we went to Bry's room 2. It was so fun and I did felt that I missed them so much and I'm promising that I'll spend my time with them just after our video is finished. Oh by the way, VIPico will be having the first-ever party on Sunday! But we still haven't put some guidelines regarding the event. But we are reminding everyone that it'll be strict. Just stay tune for our upcoming blog post for more information. Thank You! Hello guys! We are already preparing our new video and actually, we have already started on taking the scenes and the announcement of the song, and date of release plus trailer will be on September 22. So for this video, we are closing VIPico for a while for this upcoming video to lessen our work because this will obviously make us busy specially right now, in real, -ber month is already here and -ber month is the most busiest month (as we observe) for the most of us because of examination, etc.. The current VIPico applicants before this post will be automatically accepted and the present VIP now will get a chance to be in our new video! So once you apply before this post, sorry to say but, you'll automatically be rejected. We are asking for your understanding and support for our upcoming video! Thank You! Finally! I finished our supposed-to-be-1st-video within 8 hours after experiencing video editor errors and more like on the videos are not appearing :( We shoot the scenes last January to February 2011 and I misplaced the files for this project then after months, we made the JAD (Just a Dream) video. While making this video, I was trying to enhance my editing skills so I hope you appreciate them! And today, I saw a video in youtube.com taken and uploaded by someone. I remembered the time when she asked me if she can take a video and after that, I don't know what happen. Right now, I'm assuming that she's the uploader of this video. Please Watch! Enjoy! To the owner of this video, if you saw this post, please tell me your current pico name. I would love to give you credits! Back to School! Study Items are BACK!! OH MY GOD! It's back to school in America! Isn't? Well finally, these items are finally back! Well, last year, I wasn't able to complete the stuffs and now, I'm really hoping I could have them this time but it's so sad because my decor is already 500/500! I don't know what to delete anymore1 :( I want to get the desk this time! [GM Gacha] Back to School! Study Items are BACK!! 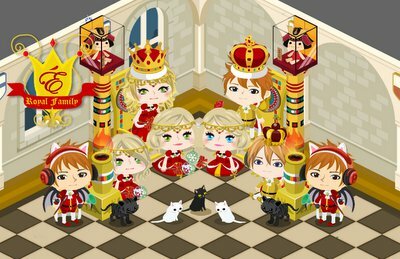 [Casino] Celebrity’s Marine Gacha has Released!! *OPENING SALE is only for a week until 9/22　GMT. 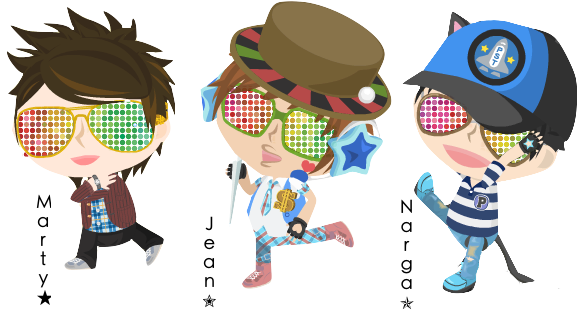 Check out the latest Casino Gacha that has been released minutes ago! Well, who loves these beach items that you could design in your room? Aren't these items better than the summer pool gacha items? Well for me, it does! Hello everyone! Have you already heard Jean Royal Étoile's event in his blog, Pico Terrific? Well then, if not, I'm inviting everyone to join their contest! Since the summer will end soon, take a photo your best memory in summer 2011! The Grand winner will be receiving 500 AG!!! Isn't interesting?! Well, it's open for everyone! Click here to check out the whole information on how to join their event, good luck! I was supposed to get busy today, but then, my lovely friends visited me and I'm feeling that I missed them so much after I deleted my exceeded buddies. I'm feeling that it's been a long time since I spend my time with my friends. I've been really busy these past few day in real and I'm loosing my time to do what I usually do in pico, blog, chat, make friends and spend time with them. 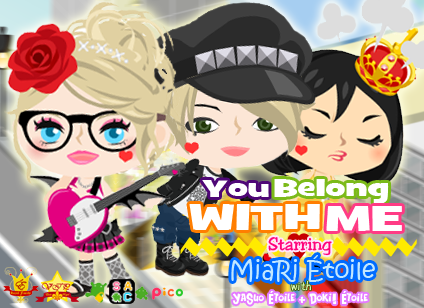 Thank you for contacting Ameba Pico Virtual World Support. Concerning Buddy list, the maximum of buddy list is 100. Please make sure that if you have already reached 100 buddies, you cannot add new friends. 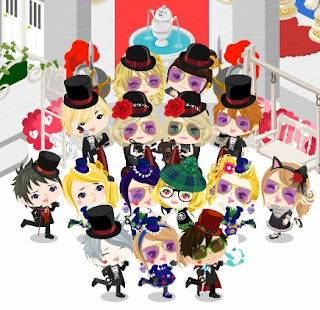 Thank you for playing Ameba Pico." Receiving this message made me think that having more than 100 buddies is part of cheat, even though you are not using any software to let picos add you, just a simple buddy accept link. 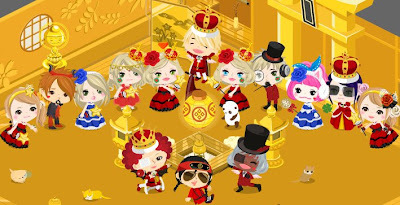 and I'm afraid when the time came that Ameba Pico admins started on banning the users with 100 buddies O_O So before it happens, I thought that... I think I should do something. And that'S the only thing that I can do. But then, I decided to give links of to add my 2nd account to get my buddies back. Through my 2nd account, what ever happens, I'll be fine. So I apologize to everyone who I deleted and I'm asking for your understanding. Thank You! To all Ameba Pico Users who are applying to be a member of our group, VIP. Please be patient for now. I'm having a hard time to fix my schedule regarding with my busy life in real. So I'm asking for your understanding for now, Thank You! There are so many blogger around us these past few days. Most of them are asking why do we have a good blog? What's our secret? Why does people like it? Now, through this post, we will tell you how we do it and everything is simple. On doing your blog, everything should be original and realistic for this virtual game. Use some interesting pictures that your readers could get their attention. When copying a post form a blog, you should give a credit or say on your post that "you do not own the article" and link the original post/blog to give respect to the owner. Hello everyone! 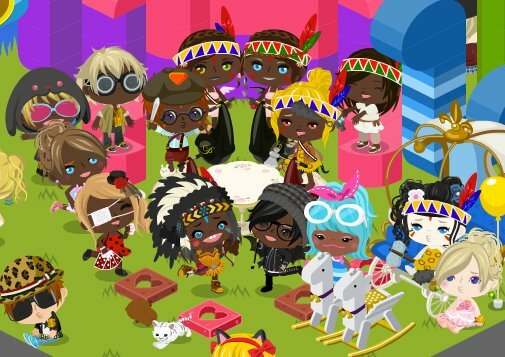 Have you already heard about the invite campaign (for facebook users) in Ameba Pico? Send us your invites and let us help you to get the items faster! We are getting reports that some people are using Cheat Tools to expand/add their rooms. This is strictly against our policy, and those people who attempt to cheat will be banned from the service. For this reason, we are temporary stopping the expand/add function. There have been banned pico users again for using cheat tools for adding rooms and most of the picos who used this cheat have 5+ rooms. As we have heard, the maximum room number is 10. Last time, in our previous post last August 21,2011: Free Rooms we have warned everyone, every readers about this cheat that it's possible for you to get banned. So we are hoping that no one of our readers/friends who experienced this tragic happening.. Create word you want and design it in your room!! More Alphabet Cubes are Now Available! Hello everyone! Just sharing my room1 right now, yeah Étoile Sea... it's not that good and creative but I'm joining the contest and I know that I don't have a chance to win but please support me! Thank you! 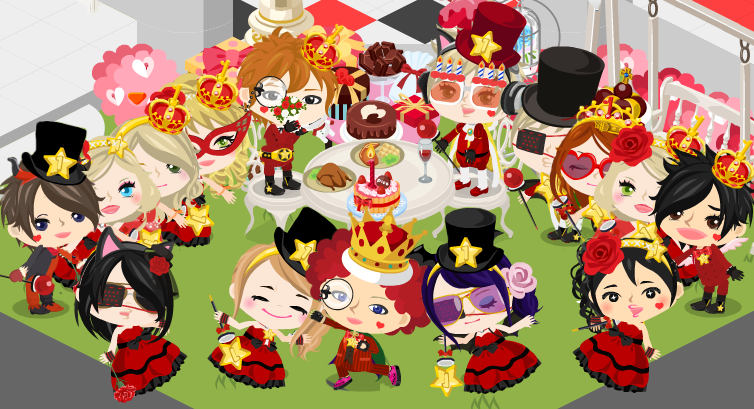 Happy Anniversary for Ameba Pico's Casino Area! And for the Casino players who have been playing from the start till now! Let's keep on supporting this area! So don't miss the 5 latest items that is limited! LIMITED NUMBER OF ONLY 1,000 ITEMS EACHwill be sold in my shop!! After 1,000 dresses/suits are sold, they will not return to the store!! [Casino] Anniversary Items Released from Anthony! 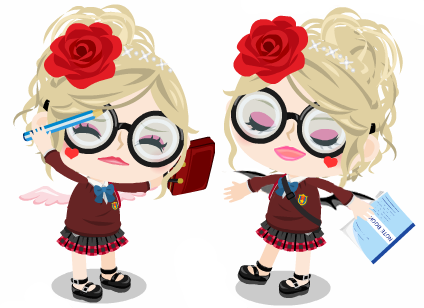 Check out the latest Monthly Flower item in Ameba Pico! Isn't our mom and dad cute?! They are so pink this month! And I bet that most pink lovers will love these newest item! And don't miss the pinkish park of eustoma flower! Don't miss the big flower design there!! [New] September's Flower of the Month is Eustoma! Earn morethan 1300 gummies per day! The New Red Queen's Castle!